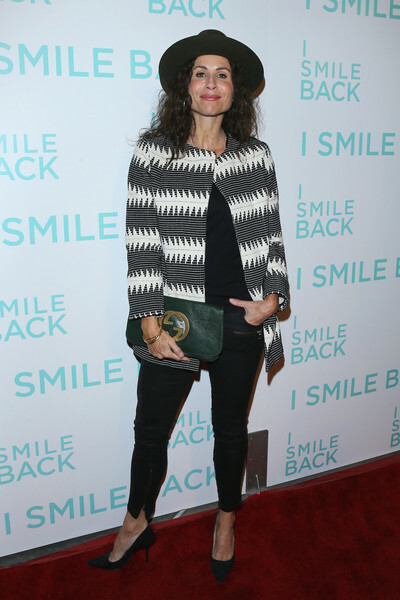 Actress Minnie Driver attends the premiere of Broad Green Pictures' "I Smile Back" at ArcLight Cinemas on October 21, 2015 in Hollywood, California. Minnie Driver showed off her toned legs in a pair of black skinny pants. Minnie Driver accessorized with a green Gucci clutch for a splash of color to her monochrome outfit.